Drumming Up Business | KMA and Co.
Way back when I was a student debater, I realized that speeches I wrote scored better when someone else delivered them. Ever since then, I’ve built a career being the woman-behind-the-curtain. But that became tricky once I became self-employed. I’ve been on my own for ten years now, and, I get a decent amount of work, but not always the work I want. As a consequence, I became overly dependent on a couple of large clients. A few months ago, I parted ways with one of those long-term clients. I vowed to build a more diversified client base that might even give me the opportunity to scale the business if they were in related or complementary fields. But that means pitching prospective clients, and selling is way outside my comfort zone. 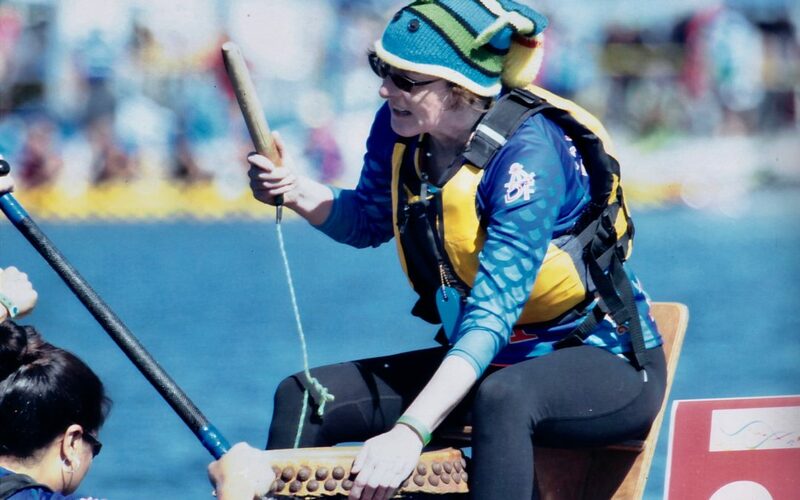 Turns out I found the confidence to pitch new clients in my avocation of dragon boating. A dragon boat is a long boat paddled by 20 people sitting 2 abreast. There is a steers-person at the rear of the boat, and for races a drummer sits at the front drumming the stroke rate, calling the first 30 or so strokes and shouting words of encouragement during races. The drummers are strictly ceremonial, but required for races. Lots of dragon boaters argue that the drummers are just a nuisance, adding weight to the boat but no power. But in my first racing season, I realized, at least to this paddler, that a good drummer made a difference. They can keep the team focused in the chaos of queueing up at the start as serve as a focal point. This season our team lost our best drummer to a more competitive team. Since I am small and have a voice that can carry, I was nudged to volunteer. I fit comfortably on the precarious drummer’s chair on the bow of the boat, and I can count to 30 and bang a drum. It was the ethos (to go back to my debating days) that was a challenge. Put simply, my behind-the-curtain career did not sync up with the need to promote focus and instill confidence in a boat full of dragons during a race. My coaches caught on to my less than commanding presence and had me lead several practices until I was comfortable taking charge of a boat. It was weird not having anyplace to hide, but I eventually got the hang of it. But back to selling. While I was perfecting my drumming ethos, my business partner and I launched a marketing campaign for the business. After the email blast I dutifully made follow-up calls to the most likely targets. To my amazement, I’ve been able to close four of the five targets we eventually met with. And, as it turned out, commanding a boat of dragons is good preparation for selling. Actually, doing anything that pushes you out of your comfort zone would work. After a successful career I was loath to take any risks with my tried and true formula. On the other hand, I am relatively new to dragon boating, and if I make a fool of myself, I can always quit and take up outrigger paddling.